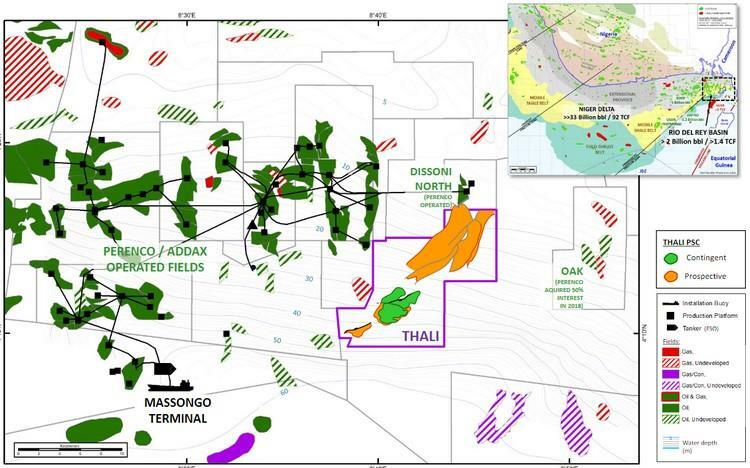 Tower Resources has provided an update on operations on the Thali block, offshore Cameroon, financing and its intention to raise interim finance via a Bridging Loan Facility. Tower is in the final stages of planning the NJOM3 well, which will be drilled to a total depth of 1,100 metres intersecting at least three reservoir zones already identified by the NJOM1B and NJOM2 discovery wells drilled on the Njonji structure by the previous operator Total. The well is designed to confirm the greater reservoir thicknesses observed on the reprocessed 3D seismic in the up-dip area of the structure and also evaluate additional reservoirs that were not present in the areas where Total's wells are located. The NJOM3 well is designed to supplement Total's well data with a suite of measurement and logging tools and drill stem test ('DST') flows to surface. The Company's intention is then to suspend the well with a view to subsequent completion as one of four initial production wells on the structure, as envisaged in the Reserve Report prepared by Oilfield International Limited ('OIL') on 31 October 2018. This first phase of development envisaged by the Reserve Report, aiming to exploit the 2C contingent resources (Pmean 18 million barrels oil, gross) already identified in the structure, aims to provide significant production to Tower in 2020. Anticipated cost of the well remains in previously disclosed ranges of around $10 million dry hole cost and around $14 million including well planning and testing. Further to the above announcement Tower Resources has announced that it has successfully agreed a Bridging Loan Facility of US$750,000 with a single lender. The terms of the Bridging Loan include the issue of 90 million of attached five-year 1.0 pence warrants.